Based in rural Missouri, Value Trains is a new hobby manufacturer making a fully assembled boxcar for the HO scale model train market. 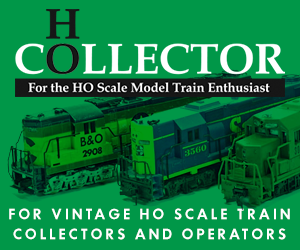 There’s a new hobby manufacturer making a fully assembled boxcar for the HO market. Value Trains is based in rural Missouri and its first effort is an HO-scale boxcar release. 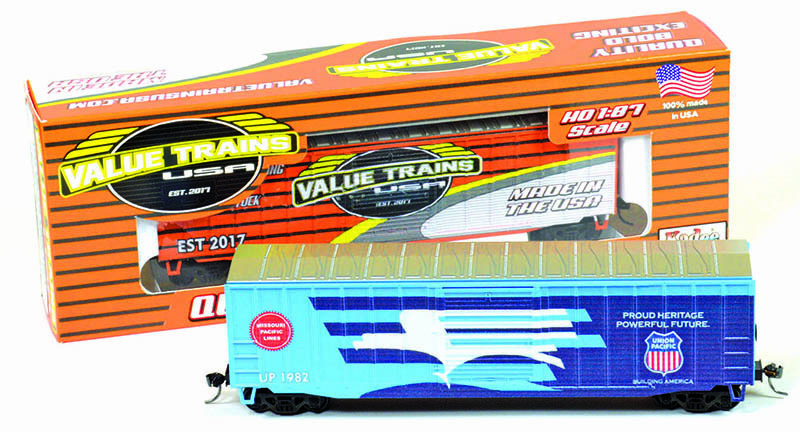 The model is available direct from Value Trains via its website and the company plans to offer its products to hobby dealers. The boxcars debut with a collection of Union Pacific offerings, as well as a car featuring Value Trains name and color scheme. Value Trains produces this new model in Missouri and this release comes equipped with Kadee-made metal knuckle couplers, plastic brake wheel, and roller bearing trucks with metal wheels. 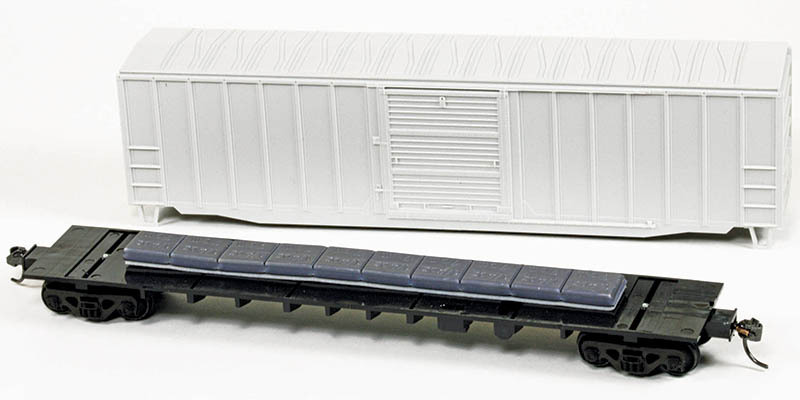 All components are produced in the U.S. for this new HO-scale reproduction of an American Car & Foundry boxcar. The boxcar includes an injection-molded plastic boxcar shell with separately applied brake wheel. The boxcar snaps on the black molded plastic underframe. The trucks and couplers are secure-mounted to the underframe. The model includes a strip of weights applied to the deck of the underframe. Value Trains offers eight Union Pacific-themed boxcar releases. Six of the UP boxcars feature decoration similar to the railroad’s Heritage diesel locomotive fleet. Railroads merged into Union Pacific’s system since the early 1980s are included in the set: Chicago & North Western, Missouri-Kansas-Texas, Missouri Pacific, Rio Grande, Southern Pacific, and Western Pacific. 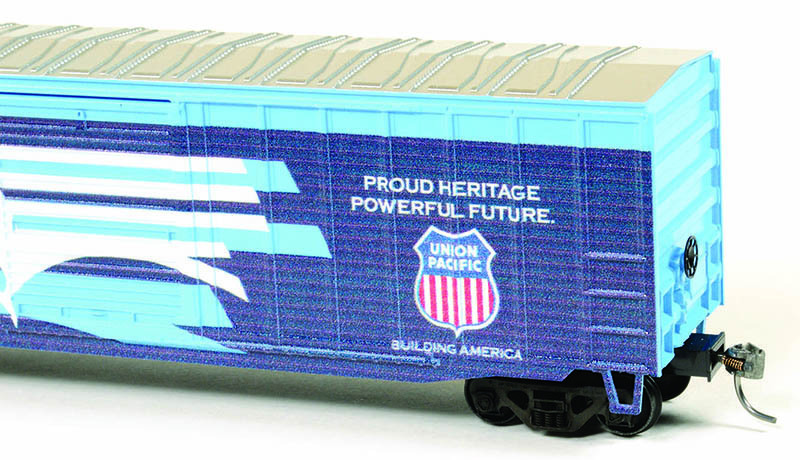 In addition, Value Trains produces a boxcar with UP’s current “Building America” look with U.S. flag presented on an Armour Yellow boxcar. The other UP boxcar reproduces the special “Spirit of the Union Pacific” livery applied to SD70AH number 1943. Value Trains offers its HO-scale boxcar models individually for $29.99 each. 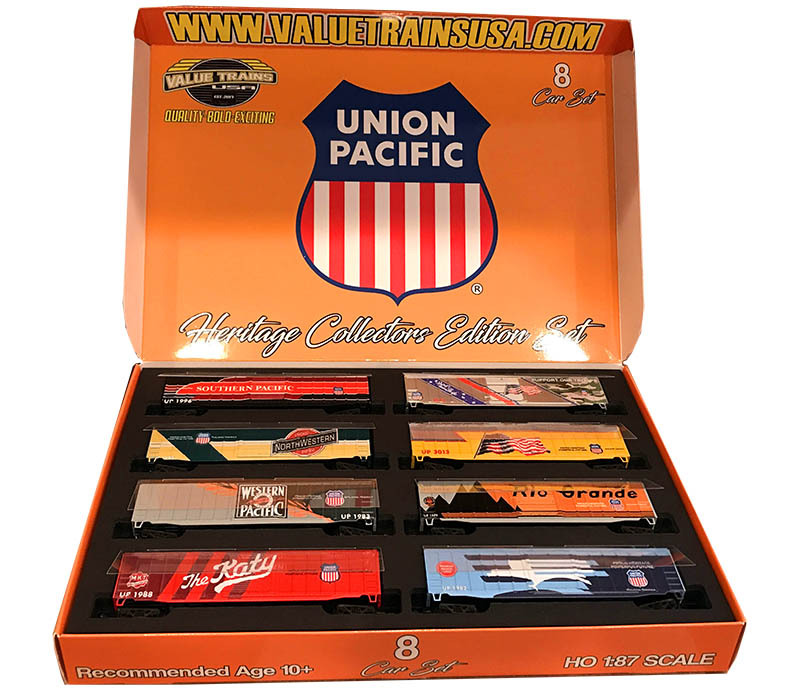 The set of eight Union Pacific decorated boxcars are available in a specially packaged collector set for $229.99. 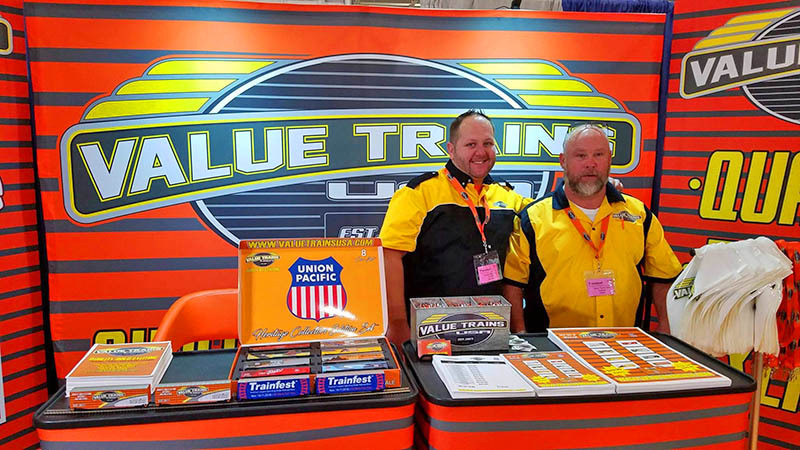 Value Trains made its debut at the 2018 Trainfest held in Milwaukee, Wis. The company’s booth showed off its bold color scheme, which is available as a special boxcar release. Company founder Derick Samson (left) operates Value Trains from Marshall, Mo. In addition, he’s the owner of Samson R/C Hobby Shop, also located in Marshall, Mo. Subscribe to Model Railroad News!